LINDSEY, CHARLES, newspaperman, author, and office holder; b. 7 Feb. 1820 in Strubby, England, third son of Charles Lindsey and Susannah —; m. 22 Jan. 1852, in Toronto, Janet Mackenzie (d. 1906), daughter of William Lyon Mackenzie*, and they had four sons and three daughters; d. there 12 April 1908. Charles Lindsey was educated at a grammar school in Lincoln, England, at some sacrifice to the modest circumstances of his parents. Scholastically precocious and physically delicate, he early decided to make his way as a journalist. After an apprenticeship with a press in Lincoln, at the age of 22 he immigrated to Upper Canada “in search of some occupation as a writer.” By submitting letters to the editor and columns with a reform bias, he was able to join the staff of a newspaper at Port Hope. There his talent was spotted by the publisher of the Toronto Examiner, James Lesslie*, who in 1846 hired him as editor. Lesslie hoped that Lindsey’s ability, idealism, and commitment to radical reform politics would win back for the Examiner the primacy among reform newspapers it had recently lost to George Brown*’s Globe. Indeed, Lindsey attempted to carve a niche for his journal as the conscience of the reform party. Inclined to free trade if not annexation, democratic verging on republican, and voluntary to the point of anti-Catholicism, the Examiner targeted moderation among its allies as often as the conservatism of its enemies. 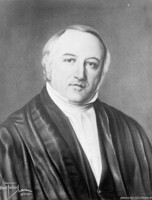 Its criticism became more pointed when the reform ministry of Robert Baldwin* and Louis-Hippolyte La Fontaine* took power in 1848. By 1849 Lindsey was himself politically active. Together with such like-minded radicals as Peter Perry*, Malcolm Cameron*, John Rolph*, and Charles Clarke, he met at the Toronto law offices of William McDougall to discuss issues of the day. From these meetings emerged the Clear Grit faction of the reform party, which took the Baldwin–La Fontaine ministry to task for its “aristocratic” approach to politics and subservience to French Canadian interests. Warning Clarke in 1850 that “we shall get no real reforms from the French,” Lindsey was particularly upset over delays in the secularization of the clergy reserves in Upper Canada, and he made this issue the subject of a book in 1851. In order to provide an unalloyed voice for the Clear Grits, he had participated in 1850 in establishing the radical North American, along with McDougall, whom he had joined three years earlier in the short-lived Canada Farmer. These activities collectively paid off in 1851. Francis Hincks*, who had replaced Baldwin as leader of the reformers in Upper Canada, desperately needed the support of a reform journal after the disillusioned Brown withdrew the backing of the Globe. Hincks consequently accepted the price of the North American’s support: Clear Grit representation in cabinet. He therefore invited Cameron and Rolph to join the reconstructed cabinet – an arrangement Lindsey helped to facilitate. Whether this shift in the Clear Grit position represented a real attempt to purify the reform government or a simple lust for power, Lindsey defended the move over the hesitation of Lesslie. The consequent ambiguity of Lindsey’s position at the Examiner and his ambition for a more independent situation coincided with Hincks’s requirement for a newspaper dedicated to upholding the ministry. The North American remained too obviously the creature of McDougall and the Clear Grit faction. 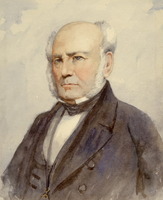 When Toronto businessman James Beaty* agreed to publish the pro-ministerial Leader in 1852, Lindsey accepted the post of editor. 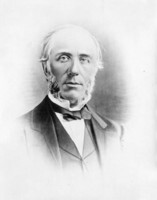 The realization that the government led by Hincks and Augustin-Norbert Morin* was, if anything, even more dependent upon and conciliatory toward the French Canadian majority in Lower Canada than the one it had replaced sent many Grits back into opposition, now under the increasing direction of Brown. Lindsey stayed on to defend pragmatism of a sort he had previously condemned, primarily because it facilitated, he believed, the implementation of an effective program of economic development. For much the same reason the Leader championed the coalition engineered with the Conservatives in 1854 [see Sir Allan Napier MacNab*]. Although clearly drifting with opportunity, Lindsey clung to the view that the coalition was fundamentally liberal in orientation. He defended a succession of Liberal-Conservative ministries from the extremism of Brown’s Grits on the left and such Tory die-hards as John Hillyard Cameron* on the right, and in the process won for the Leader a position within the province second only to that of the Globe. Still, Lindsey remained uncomfortable with Liberal-Conservative dependence on French Canadians, especially when they pressed the claims of Roman Catholicism. As a consequence, his loyalty was ambiguous and never automatic. John A. Macdonald*, co-premier from 1856, did his best to attend to Lindsey’s sensibilities, praising his editorials, suggesting subjects to examine or avoid, and providing such scoops as advance notice in 1858 of Queen Victoria’s selection of Ottawa as the capital of Canada. Moreover, Lindsey received occasional perquisites: in 1855 he was appointed an honorary commissioner to the universal exposition in Paris and in 1859 he undertook a tour through the American Midwest at the behest of the government in order to compose a pamphlet to correct promotional exaggerations of that region then circulating to the detriment of Canada. Nevertheless, even on so important an issue as confederation he remained an indifferent ally, accepting it only after criticizing the coalition with Brown in 1864, the centralizing tendencies of the Quebec resolutions, and the prematurity of union. Not entirely happy with the direction of public affairs and struck by a series of illnesses, he resigned his editorship in 1867, and accepted a sinecure as registrar of deeds for Toronto. The duties of this position were light, and he continued to write, free from the inhibitions of party. Indeed, he became disenchanted with both traditional parties – the Liberals and the Conservatives – which seemed incapable of rising to the challenges of the young nation. Writing in the Mail, the Monetary Times, and the Canadian Monthly and National Review, he pressed in the 1870s and early 1880s for honesty in government, freer trade with the United States, and the separation of church and state. Given such opinions, it is not surprising that Lindsey was attracted to the Canada First movement and its éminence grise, Goldwin Smith (after whom he named a son). 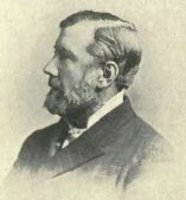 In 1874 he became a member of Canada First’s political arm, the Canadian National Association, a charter-member of its club, the National in Toronto, and editor of the movement’s voice, the Nation, which folded in 1876. Unfortunately, his tie to this withering force seems to have marked the end of Lindsey’s effective political influence. He was now labelled a grand old man of Canadian journalism – a sure sign of irrelevance. Lindsey was best known in his last years as an author rather than a journalist. In 1862, using his father-in-law’s papers, he had published a biography of W. L. Mackenzie, making a case for the personal integrity of the rebel of 1837–38 and, more controversially and despite his own espousal of moderation, for the long-term benefit of the rebellion, as the means to reform and responsible government. Subsequent historians reacted to this work, and it was often quoted in the debate over John Charles Dent*’s critical handling of Mackenzie in The story of the Upper Canadian rebellion (1885). 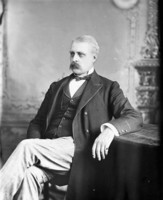 More in keeping with Lindsey’s own political principles were his entry on Sir John A. Macdonald in Dent’s Canadian portrait gallery (1880) and his attack on ultramontanism entitled Rome in Canada (1877). In recognition of these efforts, he was invited to be an inaugural member of the Royal Society of Canada in 1882. Thereafter he became less active. His responsibilities as registrar were limited to the western division of Toronto in 1890, but he did not retire until the age of 86 in 1906. He died at the home of his son George Goldwin Smith two years later, following a short illness. An Anglican, he was buried beside the Mackenzie family plot in the Necropolis. Moderate in most things not touching French Canadians and Catholics, Lindsey had a career that was an odd mixture of inconsistency and adherence to principle. He was never firmly attached to party or person, and this factor, combined with a delicate constitution, may explain his failure to follow such editors as Brown and McDougall into politics. Although office secured their reputations, Lindsey’s faded according to the ephemeral nature of journalism. Today he is remembered, if at all, as the biographer of his father-in-law. This limited remembrance is unfortunate, for it distorts and depreciates the varied and significant nature of his contribution. Charles Lindsey is the author of The clergy reserves: their history and present position, showing the systematic attempts that have been made to establish in connection with the state, a dominant church in Canada . . . (Toronto, 1851); Prohibitory liquor laws: their practical operation in the United States; the subject discussed as a question of state policy and legislation, with suggestions for the suppression of tippling houses (Montreal, 1855); The prairies of the western states: their advantages and their drawbacks (Toronto, 1860); The life and times of Wm. 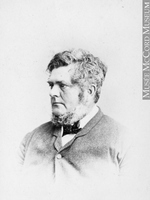 Lyon Mackenzie; with an account of the Canadian rebellion of 1837, and the subsequent frontier disturbances, chiefly from unpublished documents (2v., Toronto, 1862; repr. 1971) [an 1862 Philadelphia edition and an 1863 Toronto one were also issued; the 1862 Toronto edition was revised by Lindsey’s son, George Goldwin Smith Lindsey, and published as William Lyon Mackenzie (Toronto, 1909)]; An investigation of the unsettled boundaries of Ontario (Toronto, 1873); Rome in Canada: the ultramontane struggle for supremacy over the civil authority (Toronto, 1877) [a second edition was issued there in 1889]; and the entry on “Sir John Alexander Macdonald” in Dent, Canadian portrait gallery, 1: 5–16. AO, F 26; F 37, ser.B. Lincolnshire Arch. (Lincoln, Eng. ), Strubby, reg. of baptisms, 5 Oct. 1823. Chimney Corner (New York), 24 May 1873 (article on Lindsey, clipping in AO, F 37, MU 1929). Daily Mail and Empire, 13 April 1908. Daily News (Nelson, B.C. ), 14 April 1908. Evening Telegram (Toronto), 13 April 1908. Fernie Free Press (Fernie, B.C. ), 17 April 1908. Globe, 17 Feb. 1906, 13 April 1908. Toronto Daily Star, 13 April 1908. World (Toronto), 13 April 1908. Careless, Brown, vol.1 . L. F. [Cowdell] Gates, After the rebellion: the later years of William Lyon Mackenzie (Toronto and Oxford, 1988). L. A. M. Lovekin, “Charles Lindsey: an ornament of Canadian journalism,” Canadian Magazine, 54 (November 1919–April 1920): 504–8. J. A. Macdonald, The letters of Sir John A. Macdonald, ed. J. K. Johnson and C. B. Stelmack (2v., Ottawa, 1968–69), 2. H. J. Morgan, Sketches of celebrated Canadians . 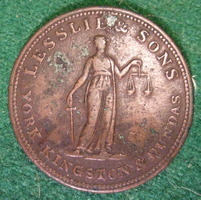 . . (Quebec and London, 1862; repr. Montreal, 1865). Standard dict. of Canadian biog. (Roberts and Tunnell), vol.2. M. B. Taylor, Promoters, patriots, and partisans: historiography in nineteenth-century English Canada (Toronto, 1989). P. B. Waite, The life and times of confederation, 1864–67: politics, newspapers, and the union of British North America (Toronto, 1962). M. Brook Taylor, “LINDSEY, CHARLES,” in Dictionary of Canadian Biography, vol. 13, University of Toronto/Université Laval, 2003–, accessed April 20, 2019, http://www.biographi.ca/en/bio/lindsey_charles_13E.html.